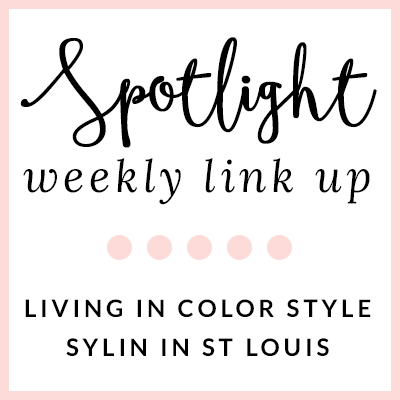 Stylin in St. Louis: Spotlight of the Week: Spring White…. Spotlight of the Week: Spring White…. Happy Thursday! Today is the last day of the school year! Summer officially starts today! I am so ready for a little R&R. When I think of summer/spring, I think of white! 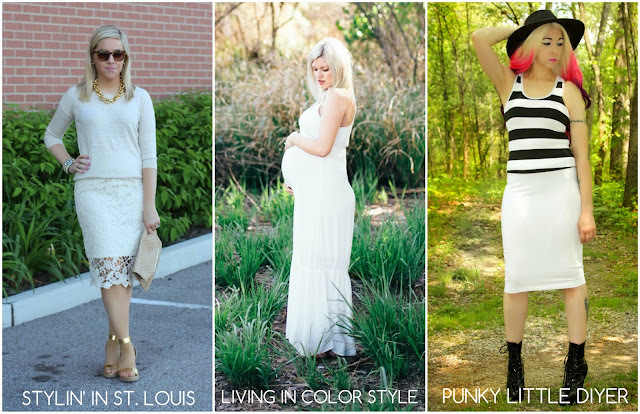 Elle and I are styling spring white! Come share you looks with Elle and I! 1. 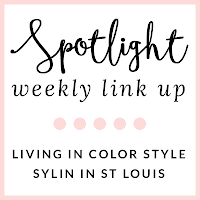 We kindly ask that you follow the two hosts: Elle from Living in Color Style, Jacqueline from Stylin' In St. Louis, and our co-host Lauran of Punk Little DIYer viaBloglovin or GFC. 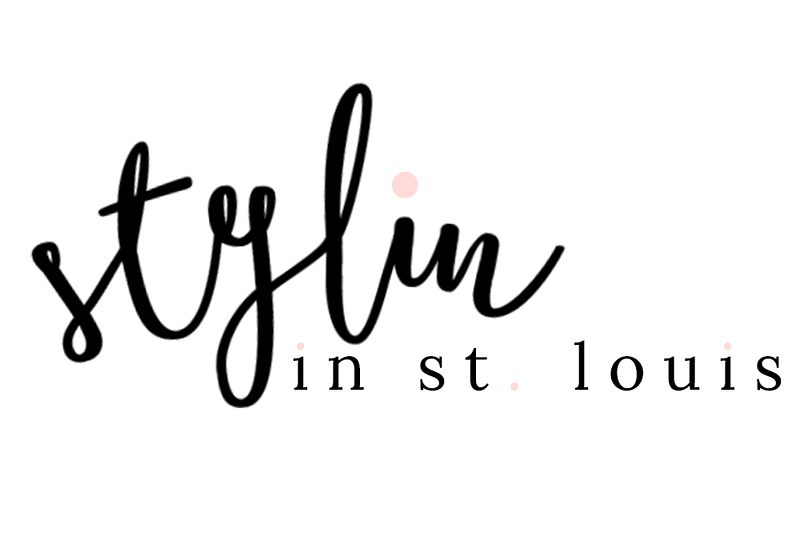 Spotlight: Our spotlight this week is Meagan of Meagan's Moda! We just love her striped dress! It is such a classic and always favorite of ours! 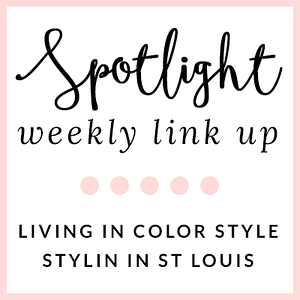 Next week: Next week our spotlight weekly theme is pastels! Thanks for linking up! See you next week! love the total white and how you mixed the lace with the sweater! thank you for hosting the link up! This is such a beautiful monochrome look, love that skirt!! Love the white lace skirt, it's gorgeous! White is definitely a popular color to wear in Spring and Summer and simply adore this trend! I need a skirt like that, so cute. Love the metallic wedges- such a fun touch! Love the wedges! They add a great pop! Such a beautiful lace skirt! Very chic look, pretty lady! Can't stop looking at the lovely skirt! That lace skirt is killer! That skirt is just gorgeous on you! Such a soft, feminine look! I love how the lace extends down past the ending of the skirt. So cute! This is so pretty! Loving the white on white! You killed this monochromatic white look! That clutch and your gold wedges are the icing on the cake! Love the metallic gold paired with the white. So happy they are in this season. You look great. BEAUTIFUL skirt and look. Thanks for hosting! I love white on white! It just feels so chic. That skirt is so pretty! That skirt is stunning and I am loving this white on white look with pops of gold! Such a classy look! Love the lace skirt! Love this look & skirt so darling! I love this neutral look with the gold wedges, simply stunning! Gorgeous!! Love your outfit XO! I really love this neutral palette on you! You look absolutely gorgeous and those sandals finish off the look perfectly! Absolutely adore this neutral look on you. The nudes and gold really pop together and make you look so incredibly tan - I think I'd just look even more Irish (pale and blotchy - eek!) than I do now! AMAZING look! I'm obsessing over your pretty skirt, what a great find!